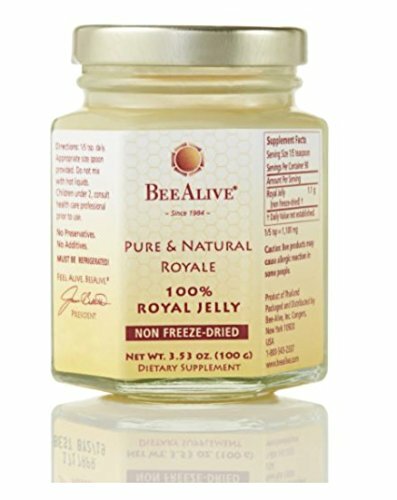 Why does Bee Alive prefer to sell their Royal Jelly in a 3-month supply? Royal Jelly is a natural food substance that can take time to work in your body. While some people see results much more quickly than others, through the years we have discovered that the full benefits does take a little longer for some people. We suggest a three month supply of Royal Jelly to give you the best opportunity to be consistent with taking the product. However, please remember that we offer Royal Jelly products with different potencies and in different formulas that may impact how quickly you feel results. At Bee Alive, the most important thing to us is that our customers feel the results, experienced as an overall sense of well being, vitality and stamina, throughout one's day and life. This is why we guarantee all of our Royal Jelly Energy supplement products. We are so confident that you are going to love Bee Alive's products that we back them with our Money Back Guarantee (less shipping and handling). However, if for some reason you need to return or replace a product, we will gladly do so within 120 days of your date of purchase. Straight out of the hive - pure and fresh with nothing added! Money Back Guarantee within 120 days of your date of purchase! If you have any questions about this product by BeeAlive, contact us by completing and submitting the form below. If you are looking for a specif part number, please include it with your message.